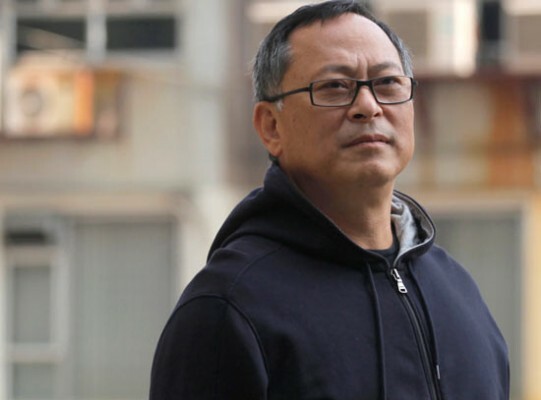 Business is never just business in Hong Kong filmmaker Johnnie To's recent films. 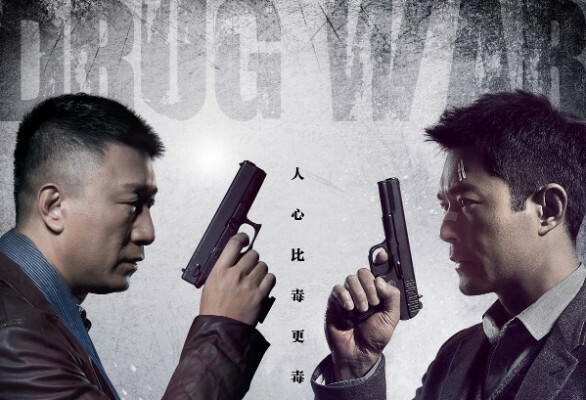 Drug War, his latest film to be exported to America, suggests that there's no hard-and-fast difference between cops and crooks, especially now that Hong Kong drug suppliers are trying to collaborate with mainland Chinese dealers. 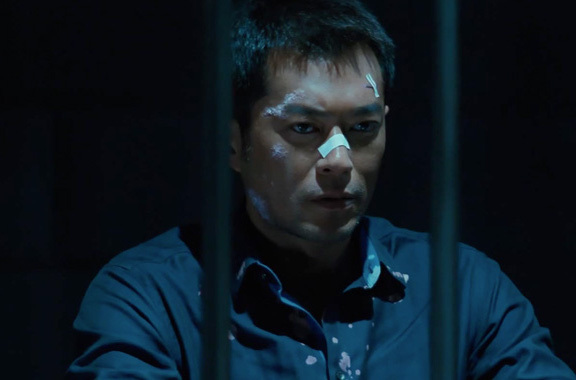 Mainland cop Zhang Lei (Honglei Sun) forces mid-level Hong Kong crime boss Timmy Choi (HK star Louis Koo) to work with him to bust Timmy's employers. But Zhang and Timmy can't trust each other because they both know that they're using each other. Like most of To's films, Drug War is about gamesmanship and trust. Zhang and Timmy's relationship would be just another macho game of one-upmanship, except that both men have an advantage over each other. If Timmy gives Zhang bad information while Zhang is undercover, Zhang's life is put at risk. But unlike Timmy, Zhang is pretty much his own boss. So if Zhang wants to, he can betray Timmy at a moment's notice, and no one would stop him. Working against two different masters puts Timmy at a major disadvantage, and makes him the film's natural main subject: a simultaneously integral and helpless pawn caught between two opposing but functionally similar associations. Although To was recently considering retirement, his current films are part of an ongoing transitional phase. While Drug War is markedly more grim than his other recent projects, it is one of a handful of films To has recently made that are all concerned with or are a product of post-financial crisis/post-handover relations between Hong Kong and mainland China. Life Without Principle concerns three inter-related stories about gamblers, financial advisers, and other gangsters. And both Election movies follow politicking amongst Hong Kong triad leaders as they establish trade relationships with the mainland. Even To's last two collaborations with Koo, a current staple of the hyper-popular All's Well Ends Wells franchise, are prominently overshadowed by both the 1997 handover and the pre-handover financial crisis. In Romancing in Thin Air, a Hong Kong-China co-production, Koo plays Michael, a heart-broken actor that falls in love with and consoles Sue (Cantopop star Sammi Cheng) after her husband goes missing. And in Don't Go Breaking My Heart, Koo plays Sean, an oblivious nouveau riche businessman that competes with creatively blocked architect Kevin (Hong Kong actor Daniel Wu) for the attention of Yen (Chinese actress Yuanyuan Gao), a free-spirited analyst. While the abrupt tonal shift from Romancing Into Thin Air to Drug War seems unusual, it makes sense given To's professed intentions as the co-founder of the Milkyway Image production studio. To frequently tells the press that he wants to direct and produce films that utilize "popular" elements to make more "personal" projects. Milkyway's first two major box office successes were Running Out of Time and Needing You, star vehicles for hyper-popular singer-turned-actor Andy Lau. But To's subsequent collaborations with Lau prove that he is nothing if not an eccentric businessman. Projects like Love on a Diet, a 2001 romantic comedy where both Lau and Cheng wear prosthetic fat suits, and Running On Karma, a 2003 generic hybrid where Lau wears a muscle suit, are very outre, but were also financially successful (Lau plays the title character in this year's Blind Detective). Still, it's interesting to note that To has not taken after some of his peers, by trying to ingratiate himself to mainland Chinese audiences by making historical dramas or period fantasies like Painted Skin, Red Cliff, or Journey to the West: Conquering the Demons. To knows that he needs to attract mainland viewers, but he's not just pandering to their sense of nostalgia. In a 2003 Cine Asie interview, To maintained that, "The future of Hong Kong films lies in the Mainland territory. The market there has traditionally supported HK films, and I’m sure we can expand the market in the near future." But if To's last couple of films are any indication, his outlook on contemporary relationships between Hong Kong and Chinese relations isn't positive. To be fair, politics and current events are usually not the primary subjects of To's various dramas and comedies. But Drug War's conclusion presents an apocalyptically bleak conclusion to an all-business partnership between representatives of China and Hong Kong. In that film, Koo's Timmy is the last man standing. At least, he is until he gets the death penalty, but only after being seriously roughed up by both cops and crooks. And while both Don't Go Breaking My Heart and Romancing in Thin Air have happy endings, Koo's strictly money-minded Sean loses out to Wu's soulful Kevin in Don't Go Breaking My Heart. And in Romancing in Thin Air, Koo's Michael, a megastar that promotes Pepsi whenever he's not starring in blockbusters, only wins Sue's heart after making a film that helps her get over her husband's death. Both of these romcom's endings suggest that if a relationship is going to succeed, it has to be built on at least quasi-noble aspirations. While To's films have always followed romantic loners, most of his recent films assume that fidelity is an antiquated concept. The death of the antihero protagonists in Exiled, a 2006 semi-sequel to To's 1999 gangster film The Mission, marks the end of an era. That film's Peckinpah-inspired shootout happens on the stroke of the 1997 handover. Sparrow is similarly a romantic 2008 portrait of competing Hong Kong pickpockets, but also, as Andy Willis argued in Film International, a "love letter" to fading Hong Kong architecture. And in Throw Down, Koo's character is as chivalrous as he is because he's obsessed with old Akira Kurosawa movies, specifically both Sanshiro Sugata films. Still, chivalry isn't dead in To's films, just on the ropes, or about to self-destruct. There's Ching-wan Lau's Mad Detective, a disgraced schizophrenic policeman with savant-levels of intelligence. And then there's Lau's deranged, but sensitive ghost lover in My Left Eye Sees Ghosts. Johnny Hallyday's old-fashioned/moribund gangster slowly loses his memory in Vengeance while Lau's monk-turned-muscleman solves crimes by analyzing their karma in Running On Karma. Compared to these offbeat heroes, Drug War's Timmy Choi is just a sympathetic victim. In his best films, To conflates what viewers expect with what they want from contemporary heroes. His characters are from Hong Kong, and for To, that means that they're also in a state of transition. Simon Abrams is a native New Yorker and a freelance film critic who writes for such outlets as the Village Voice, Esquire, and RogerEbert.com.